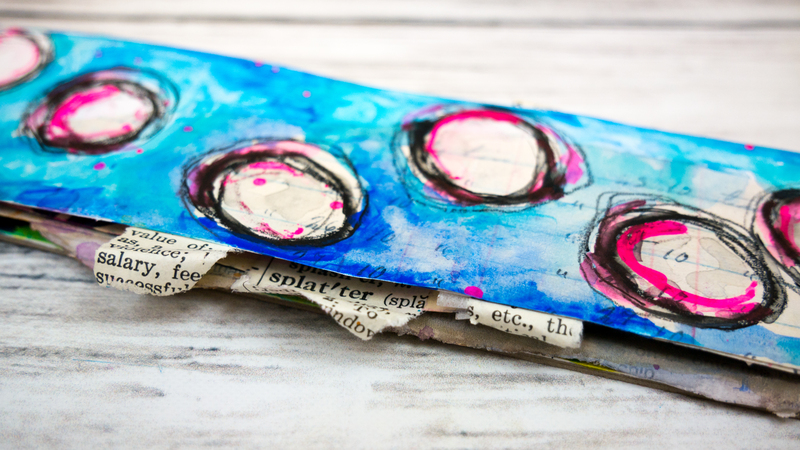 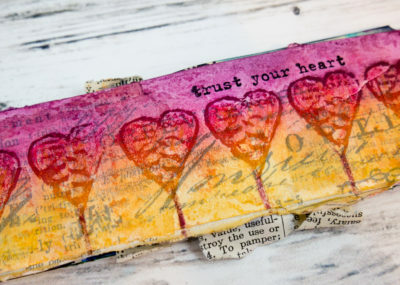 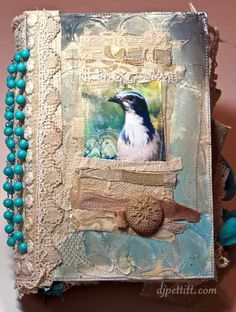 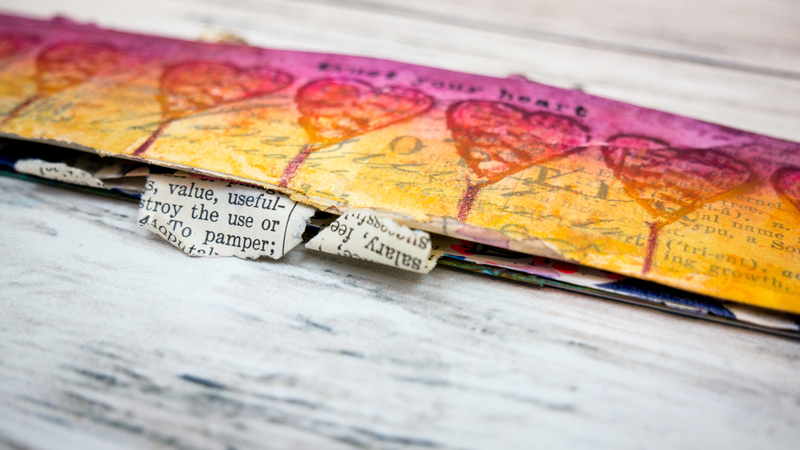 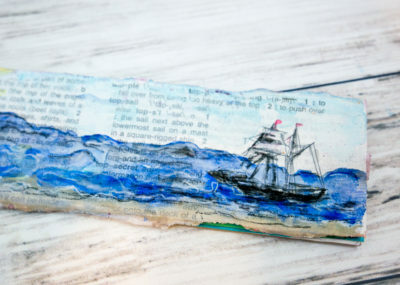 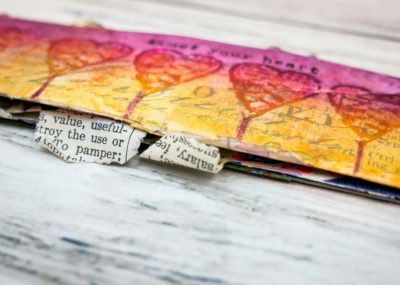 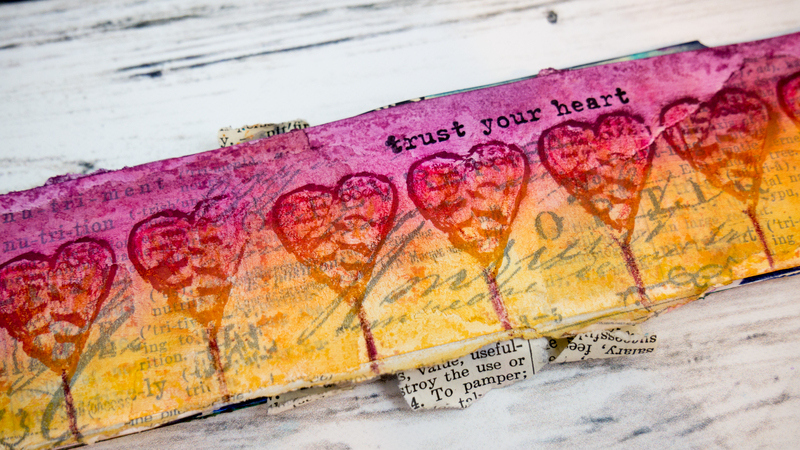 I’m over on the ArtFoamies Blog today with this burlap journal page tutorial. 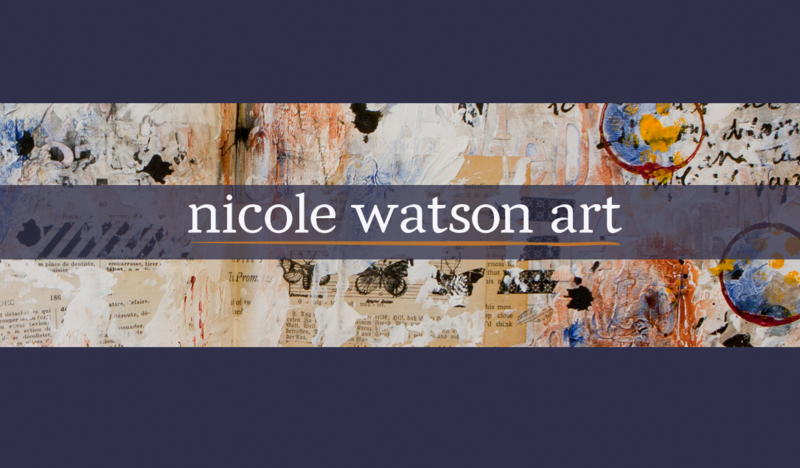 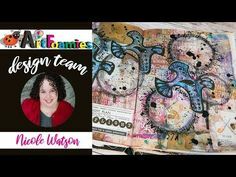 Check out the video above, and then head over there to see some close up pictures and read about my process and inspiration! 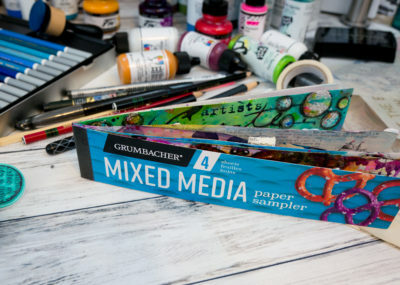 In my previous post I mentioned that Red Lead sent me some supplies for the hop. 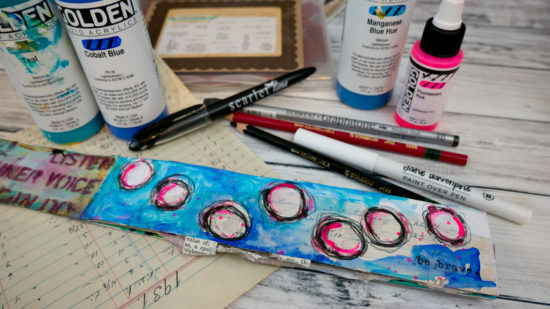 It’s always a challenge to use supplies that I haven’t picked out, and on top of that always a bit nerve-wrecking when I’m using a product a company sent me to use! 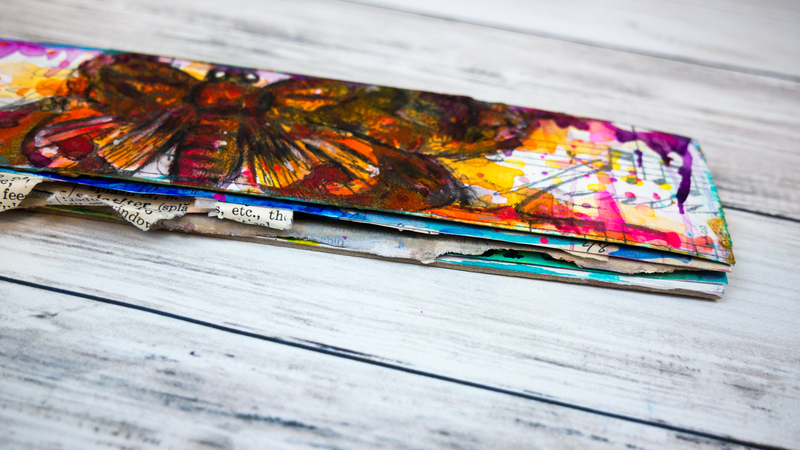 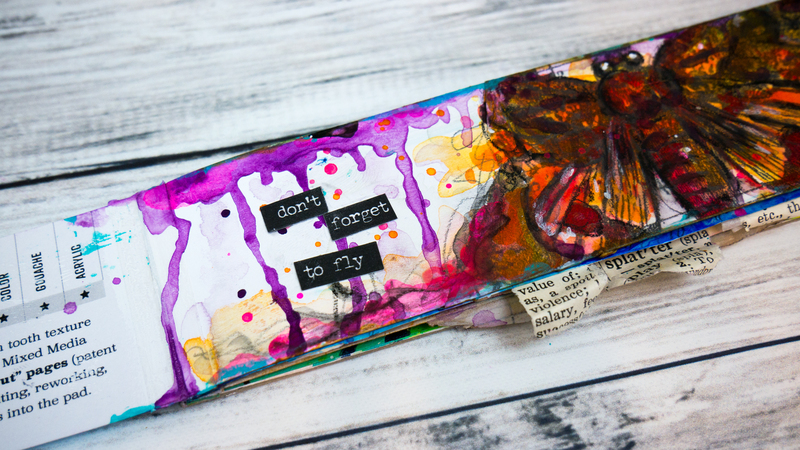 However, this is probably one of my favorite art journal spreads to date…are artists allowed to have favorites? 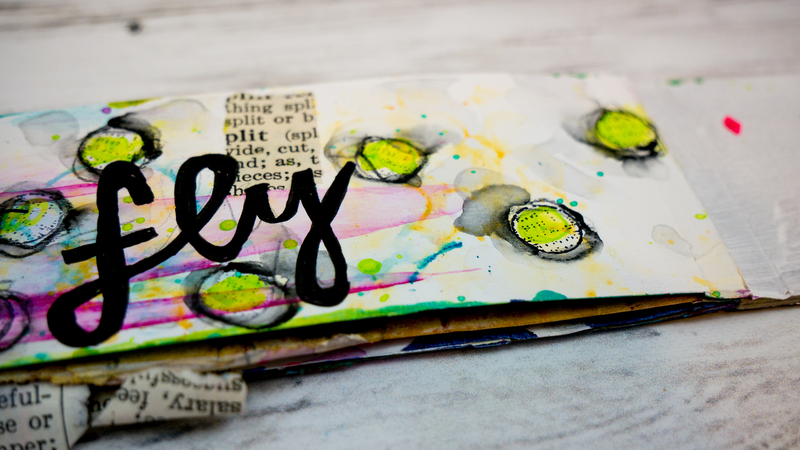 If you’ve watched my tutorial above (or when you watch it! 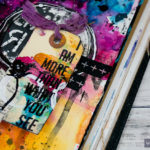 ), you know that I admitted that I scribbled on my pages “I hope these pages are not ugly!” At that point the pages were ugly…sometimes those first layers aren’t dynamic or exciting until the next layers begin to compliment them. 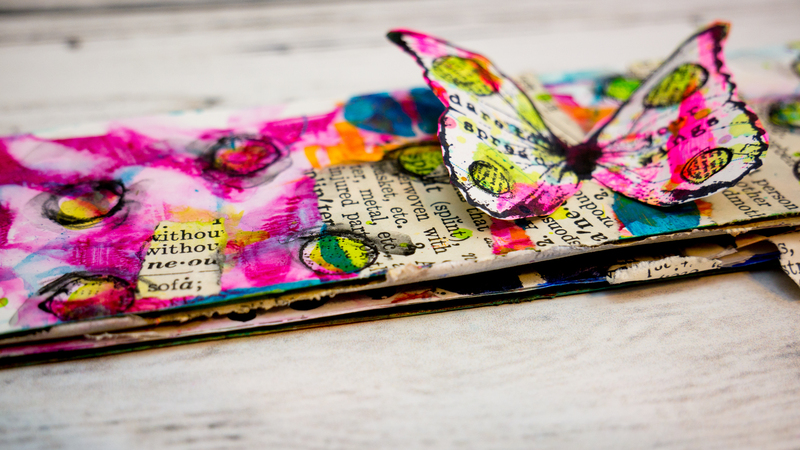 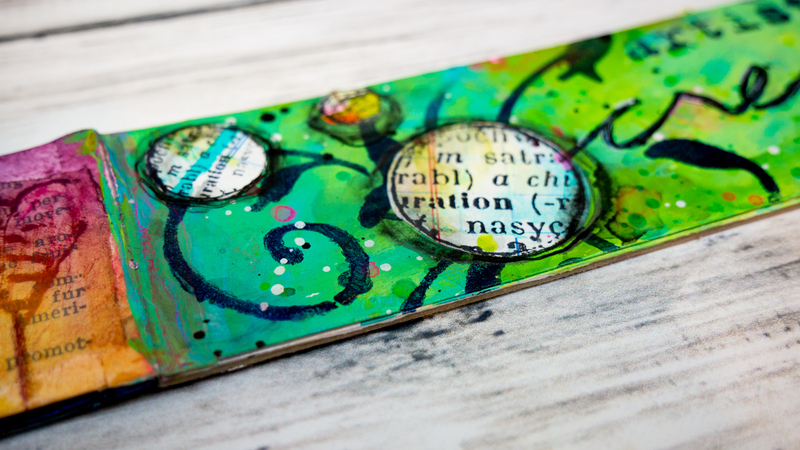 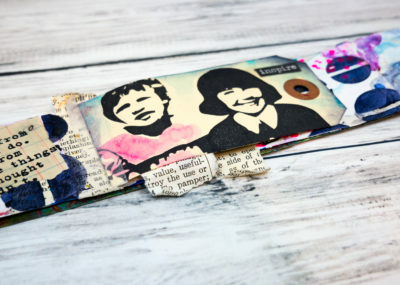 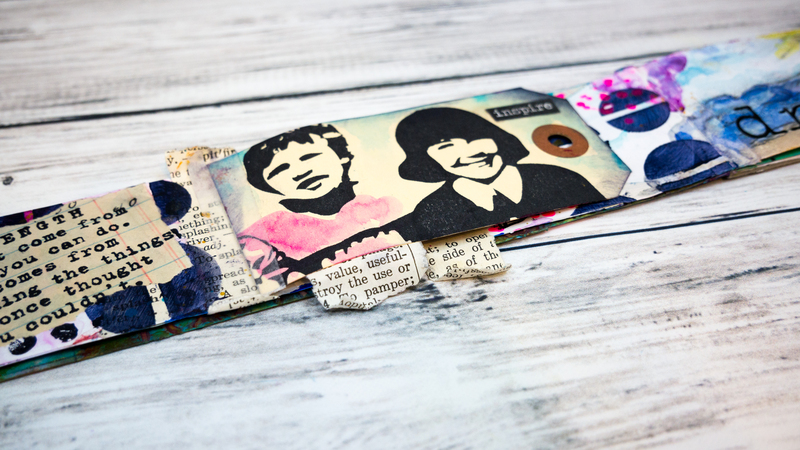 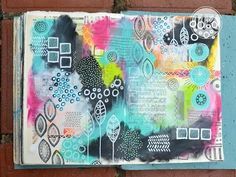 I loved making this double page spread in my Dina Wakley Media Journal. 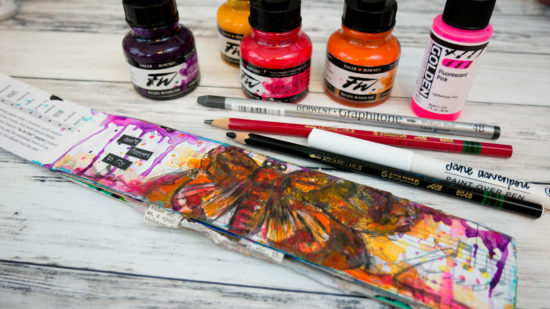 Red Lead sent me so many amazing supplies that I had to include a tip-in to use some, which ended up being one of my favorite parts. 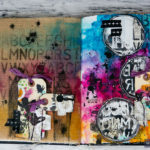 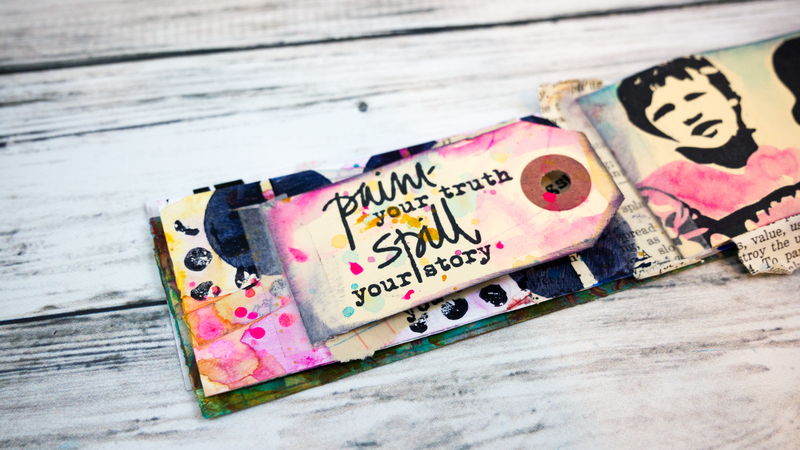 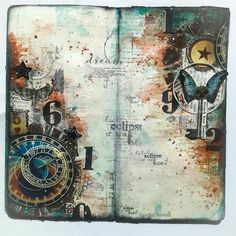 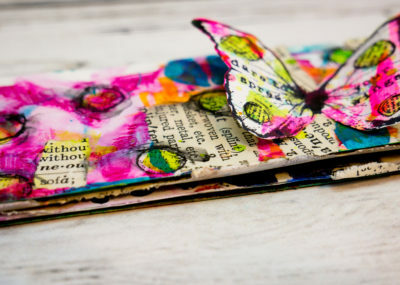 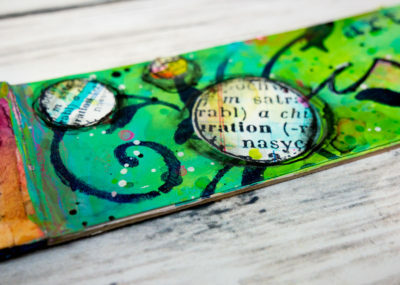 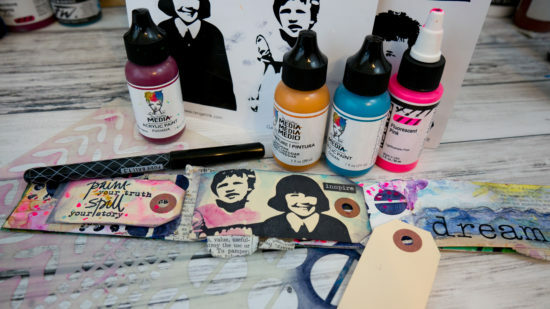 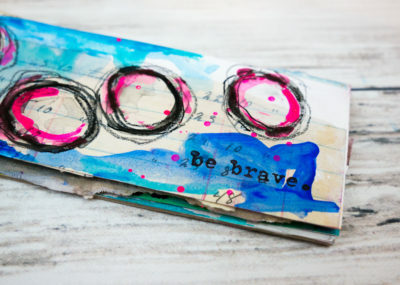 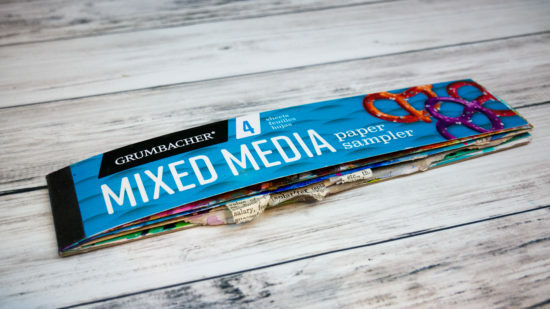 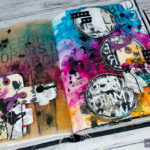 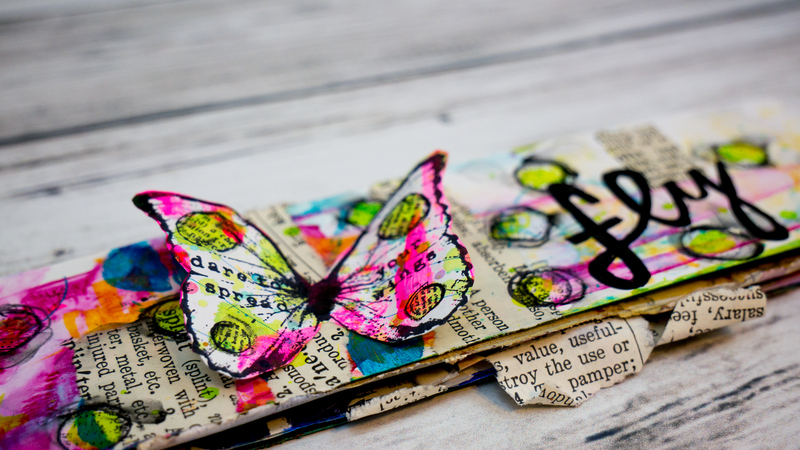 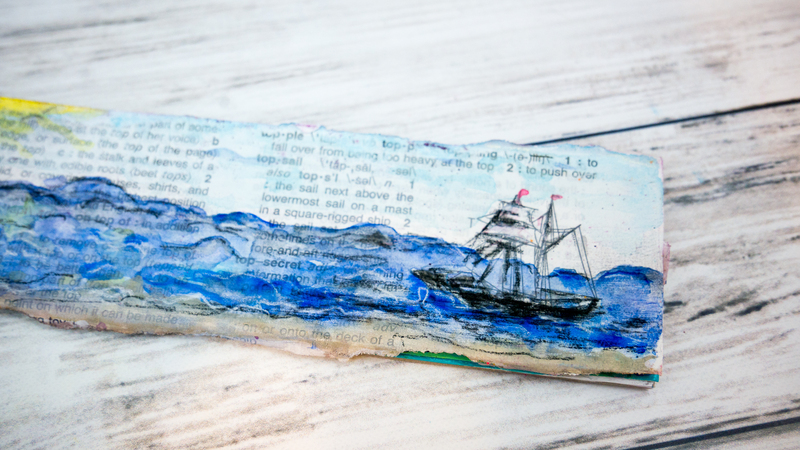 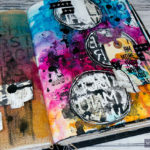 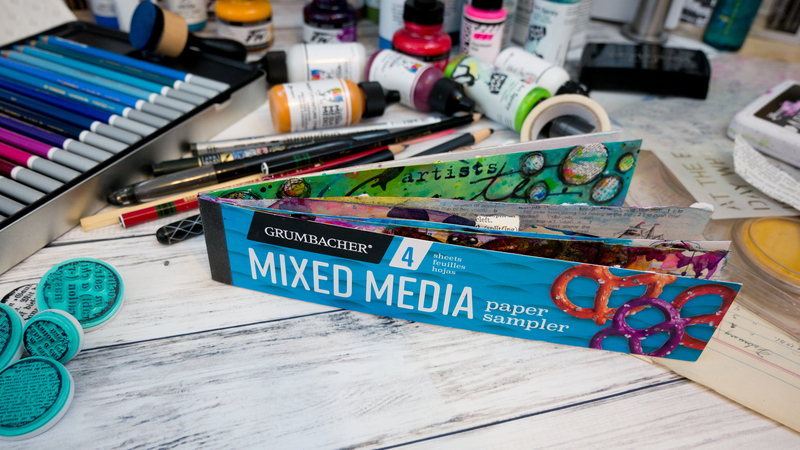 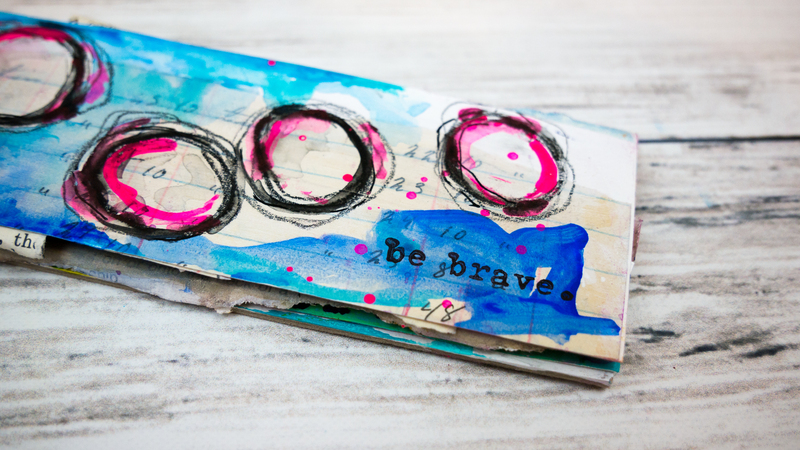 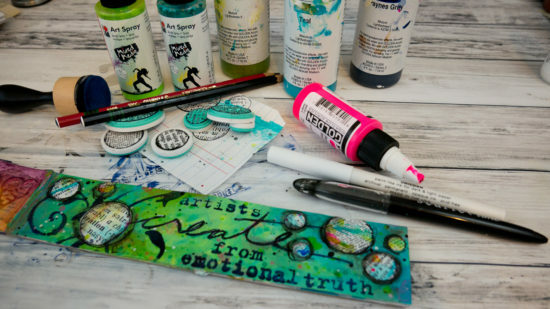 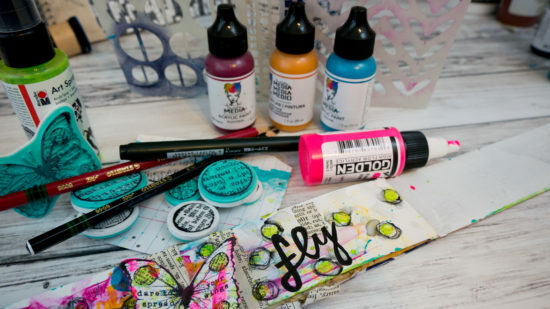 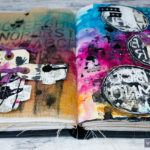 I also just love how each element on the pages come together: ephemera, acrylic paint, stencils, stamps, india ink, stabilo pencils, collage sheets, and more. 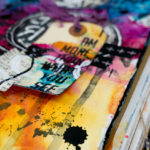 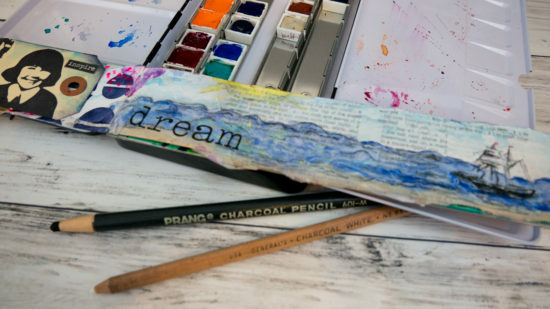 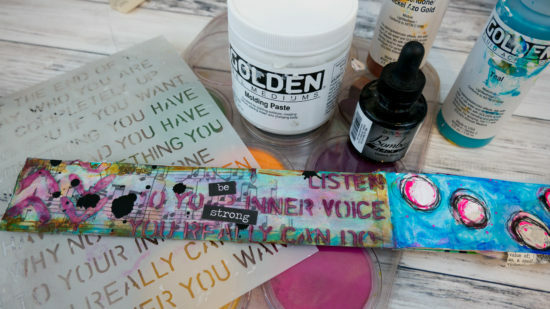 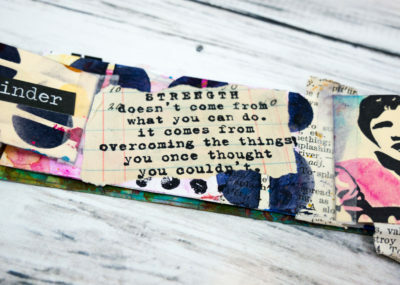 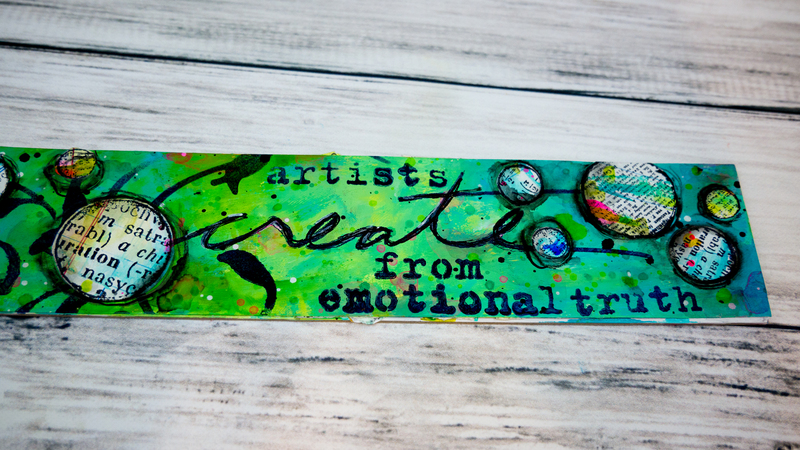 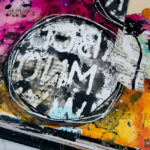 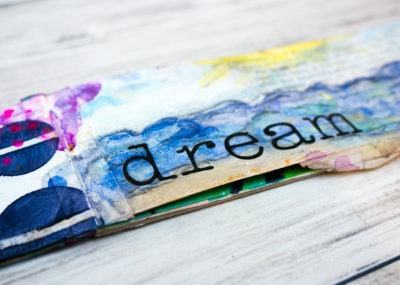 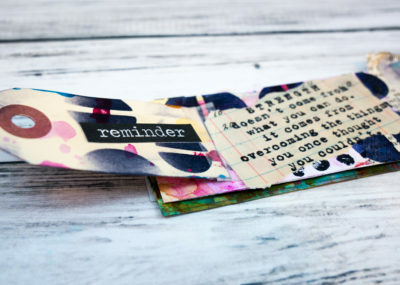 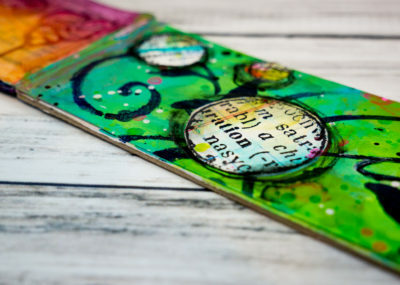 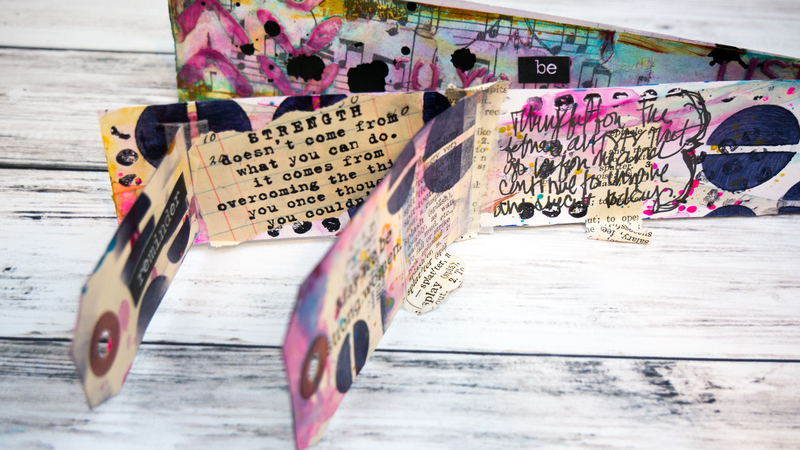 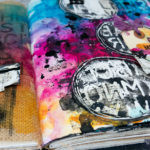 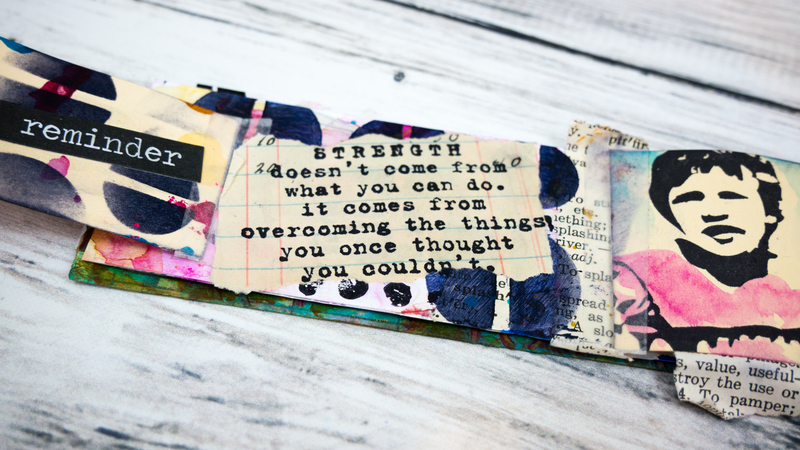 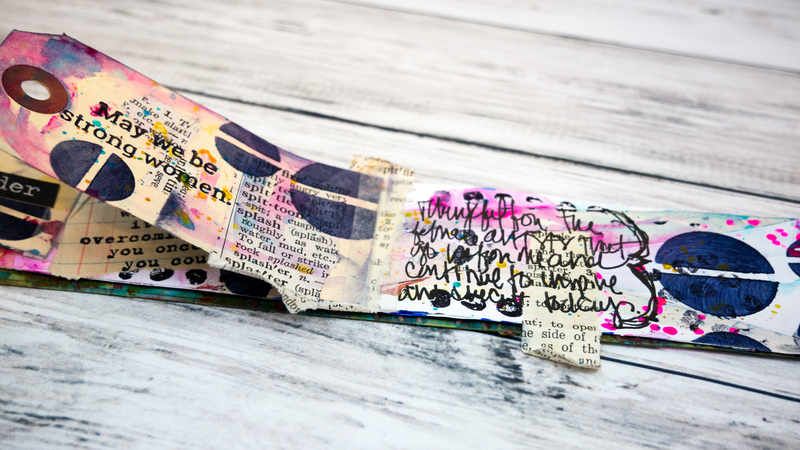 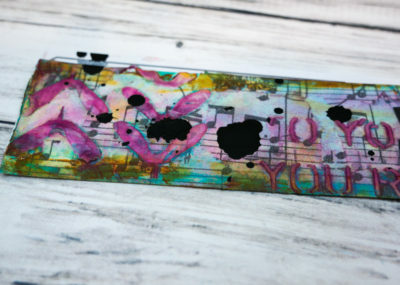 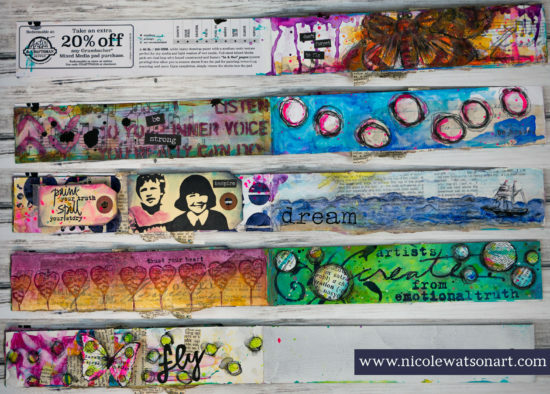 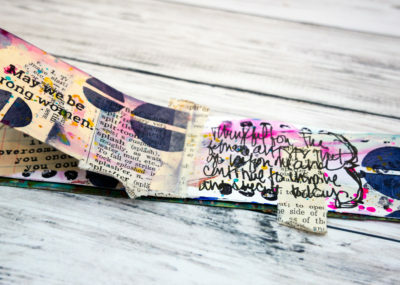 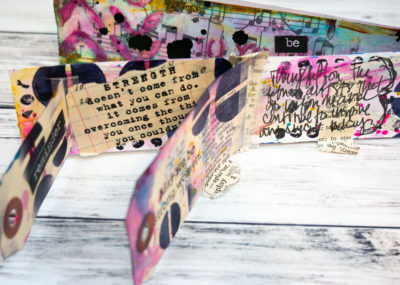 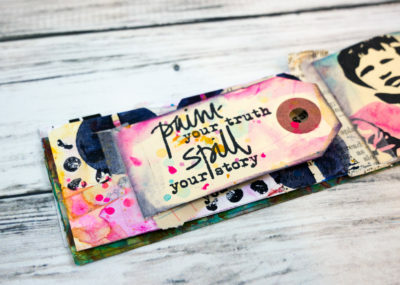 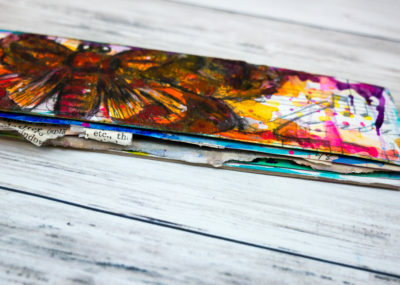 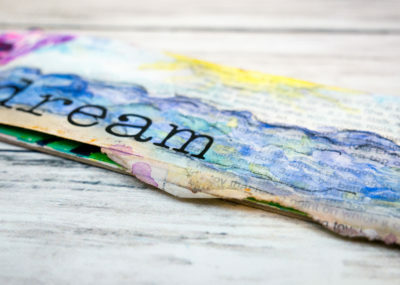 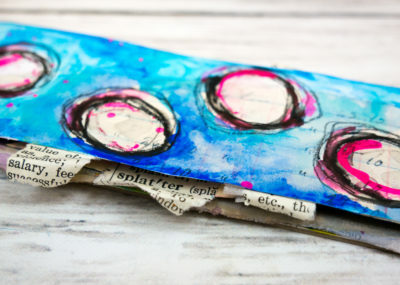 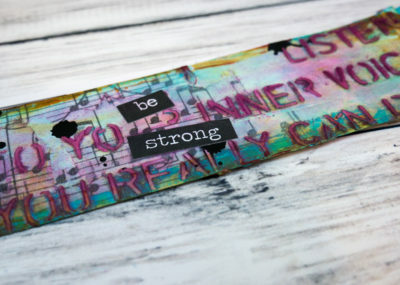 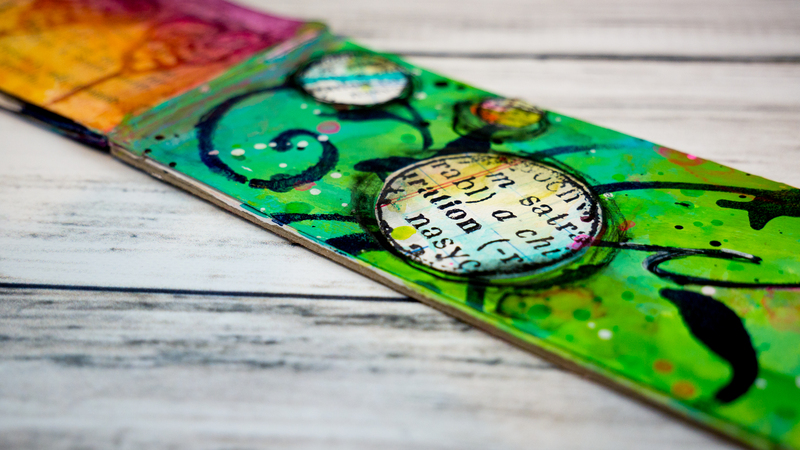 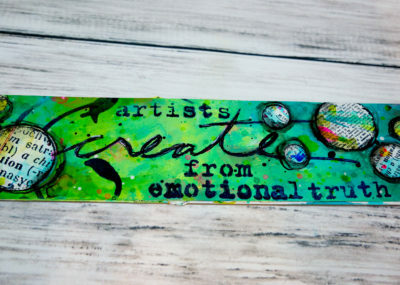 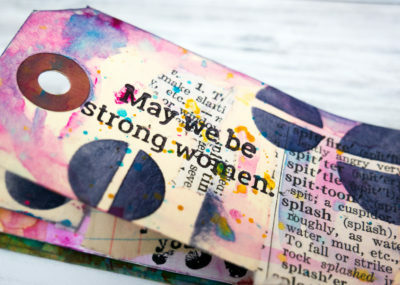 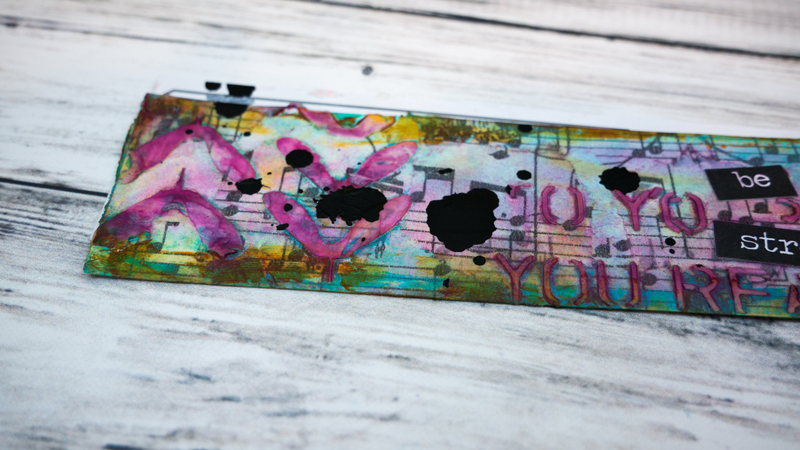 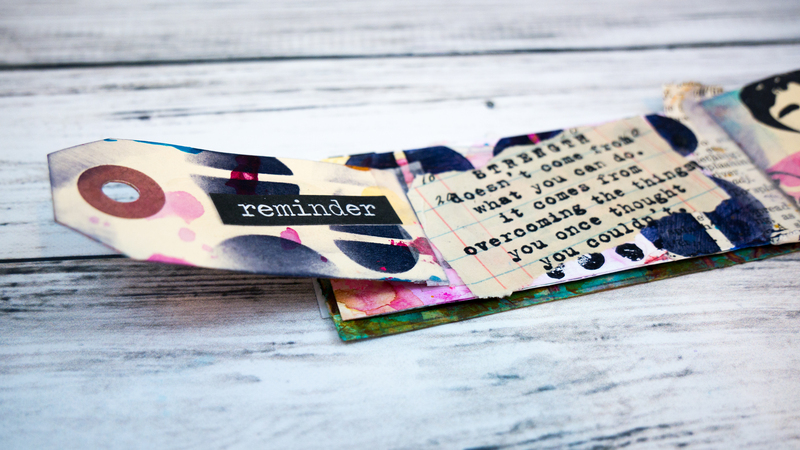 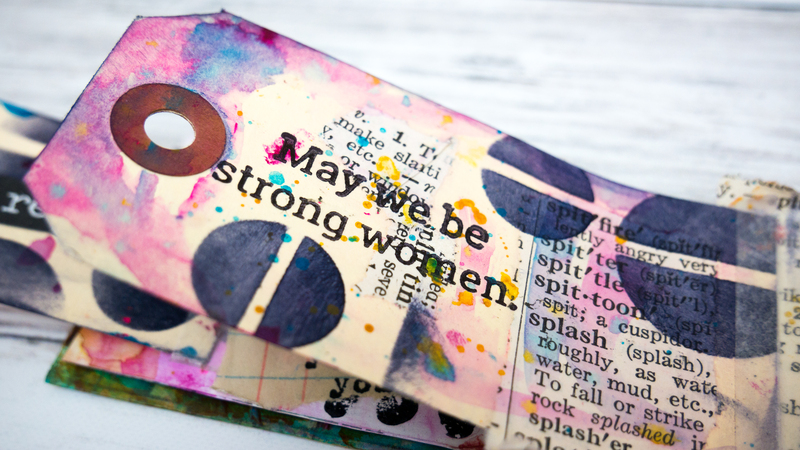 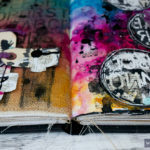 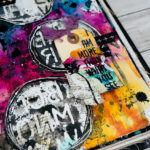 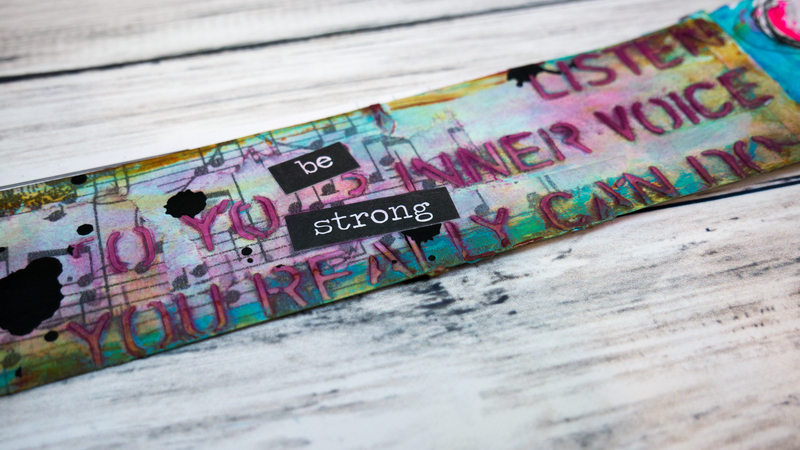 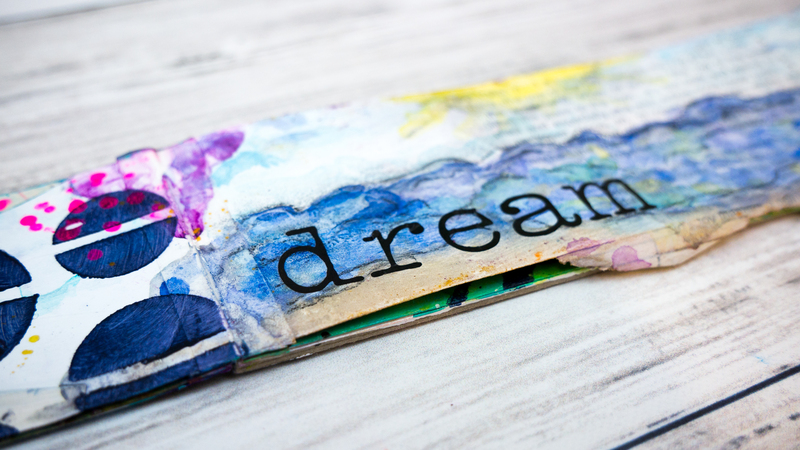 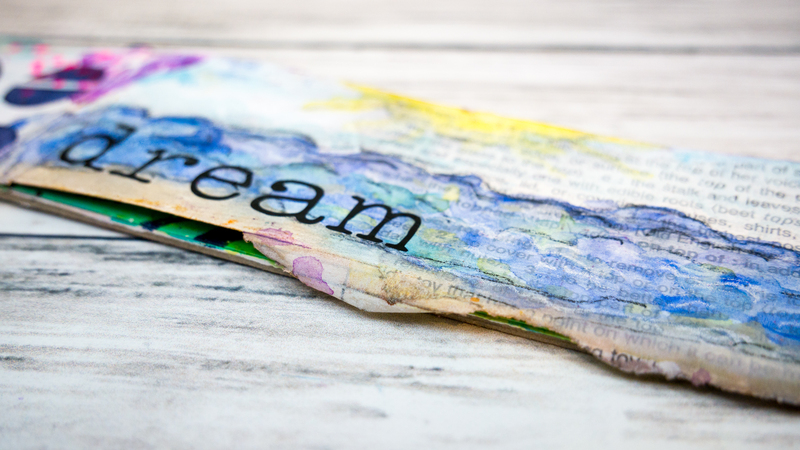 I hope my canvas encourages and inspires you to create in your art journal. 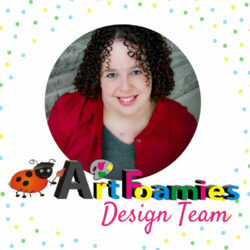 Be sure to look at the info box on YouTube for the directions on how you can win one of the amazing sponsored prizes. 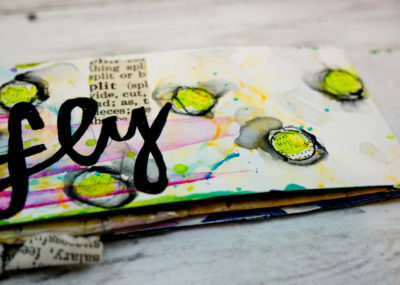 And, hop through all the videos. 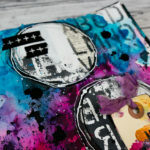 Most of the artists are also giving away prizes (me included!). 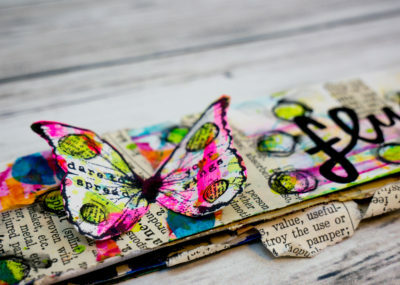 Enjoy scrolling through the little gallery below to see some pics of my project! 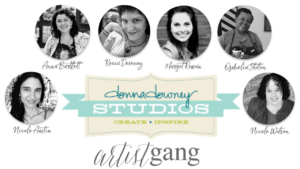 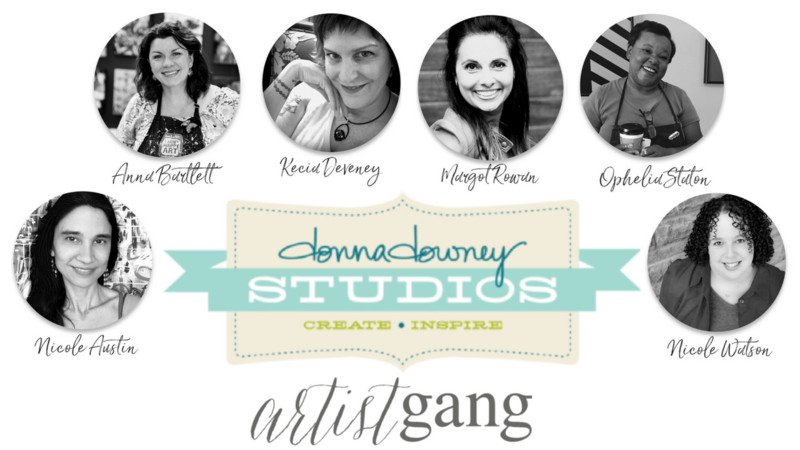 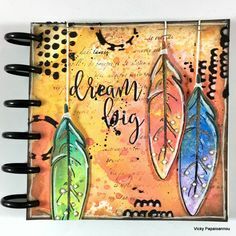 I can’t believe it’s August already, and my 7th tutorial is up for Donna Downey Studios Artist Gang. 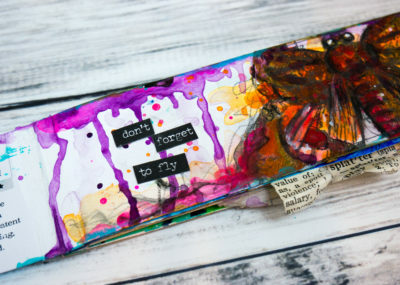 This week I just wanted to play in my journal. 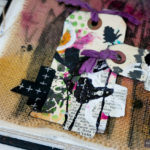 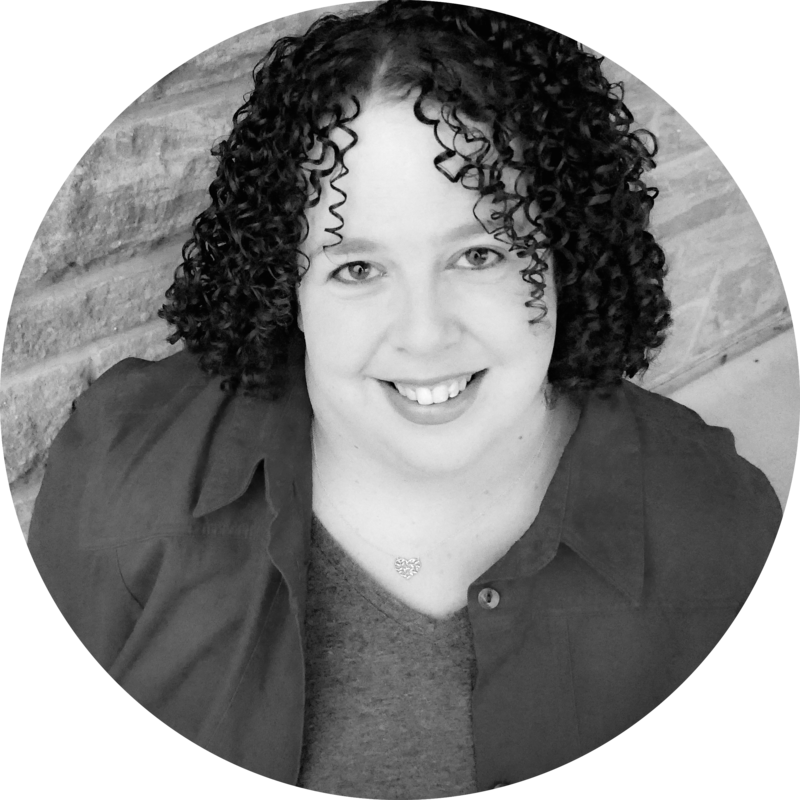 Read more about the process on my blog post over on Donna’s website.